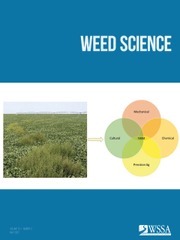 LAWRENCE, Kansas – July 12, 2016 – You may think weeds resistant to herbicides are a new phenomenon linked to the overuse of glyphosate in genetically engineered crops, but according to the Weed Science Society of America (WSSA) nothing could be further from the truth. This year marks only the 20th anniversary of glyphosate-resistant crops, while next year will mark the 60th anniversary of the first reports of herbicide-resistant weeds. Scientists say what is unique about glyphosate resistance is the severity of selection pressure for resistance development. More than 90 percent of soybean, corn, cotton and sugar beet acres in the U.S. are glyphosate tolerant and receive glyphosate treatments – often multiple times per year. 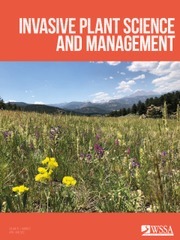 Research shows that resistant weeds can evolve whenever a single approach to weed management is used repeatedly to the exclusion of other chemical and cultural controls – making a diverse, integrated approach to weed management the first line of defense. Many growers have had great success fighting resistance by adopting a broader range of controls. One example is found in the experiences of U.S. cotton growers in the southern U.S. After years of relying on glyphosate for weed control, resistant Palmer amaranth (Amaranthus palmeri) began to overrun crops and caused yields to plummet. Today integrated weed management programs that use a diverse range of controls have become commonplace in cotton, despite the higher cost. 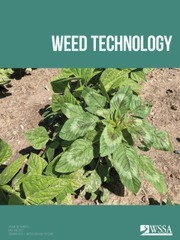 Growers are using cover crops, hand-weeding, tillage, weed seed removal and herbicides with different mechanisms of action in order to keep Palmer amaranth at bay. There have been tradeoffs. Additional herbicides, labor and fuel have tripled the cost of weed control in cotton. In addition, increased tillage has raised concerns about soil erosion from water and wind. But for now, the crop has been preserved. Culpepper says that in addition to costs, another barrier to adoption of integrated weed management is the belief by some that new types of herbicides will be invented to take the place of those no longer effective on resistant weeds. But the HPPD-inhibitors discovered in the late 1980s for use in corn crops are the last new mechanism of action to make its way out of the lab and into the market.